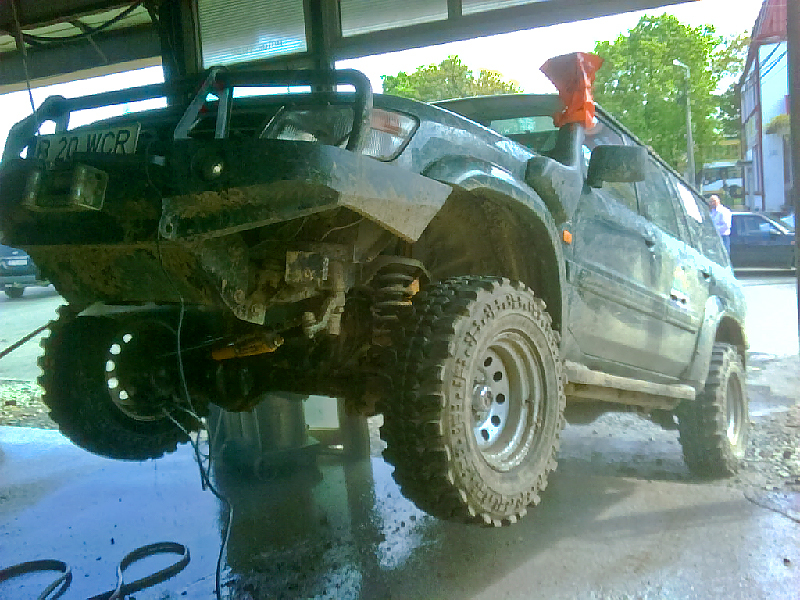 Correctly install an adequate winch. Find a carwash with a strong ceiling. Winch your car’s front off the ground. Winch the car back down. my winch is rated for 9000 lbs ~ 4100 kgs. The car’s weight was 2274 originally. So we have a winch rated for 4100 kgs and a car weighing 2600 kgs. Also keep in mind that the winch only sustains part of the vehicle weight (the other part is distributed to the rear axle – more so as the inclination rises). the problem is not to be destroyed ‘privatization’ rights … car wash … … obviously!